Dr. Babushkin is a nationally recognized expert on implant restorations and achieving optimal aesthetic results. 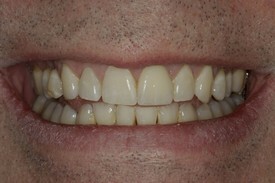 As the only dentist in Fairfield County that is board certified by the American Academy of Cosmetic Dentistry, he and his associates are uniquely qualified to provide patients with the best quality dental implant restorations available. 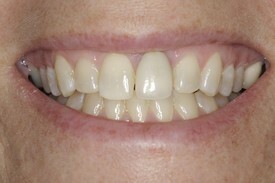 Dental implants are a highly recommended, long lasting and durable solution to replace missing teeth. 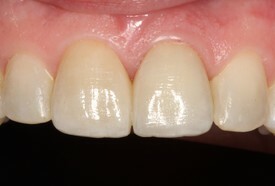 Implants can also provide afixedsolution to having removable partial or complete denture and provide excellent support and stability for these dental appliances. 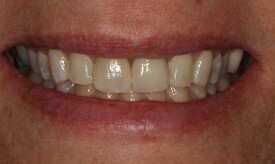 A titanium implant is surgically placed into the upper or lower jaw bone and then restored with a porcelain crown or crowns. 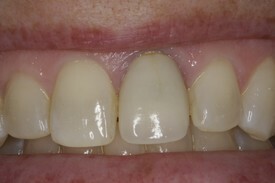 The teeth attached to implants are very natural looking and often enhance our patients smile! This adult patient had suffered a traumatic hockey accident as a child. 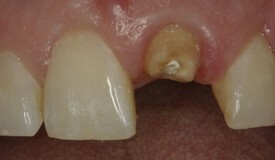 His front tooth was treated with a root canal and a crown. 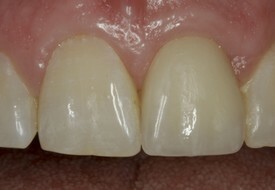 The tooth recently fractured and required replacement with a dental implant and crown.